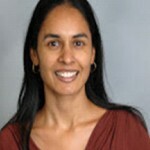 Lakshmi Bandlamudi is Professor of Psychology at LaGuardia Community College, CUNY. 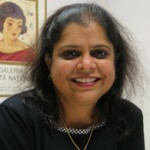 She is the author of Dialogics of Self, The Mahabharata and Culture: The History of Understanding and Understanding of History (2010); “Voices and Vibration of Consciousness in Genres: A Dialogue between Bahktin and Bhartrhari on Interpretations,” (2011) published in Dialogue, Carnival and Chronotype; and “Development Discourse as an Author/Hero Relationship,” (1999) published in Culture & Pyschology. She is working on a manuscript entitled Difference, Dialogue and Development: A Bakhtinian World. She earned her Ph.D. in 1994 from the Graduate Center, CUNY. 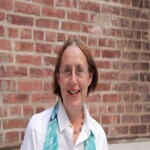 Claire Bishop is Associate Professor in Art History at the Graduate Center, CUNY, and has previously held positions at the Royal College of Art, London, and the University of Warwick. Since receiving her Ph.D. from the University of Essex in 2002, she has published Artificial Hells: Participatory Art and the Politics of Spectatorship (2012) and Installation Art: A Critical History (2005). Most recently, she has edited 1968-89: Political Upheaval and Artistic Change (2010). Her current project is an interdisciplinary one that will span the disciplines of Art History, Theater, English, and the Digital Humanities. 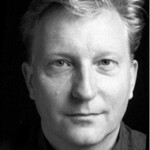 Maurice Crul is a Professor of Sociology at the Free University of Amsterdam and at the Erasmus University in Rotterdam. His most recent books in English include The Changing Face of World Cities (2012), co-authored with John Mollenkopf; and The Second Generation Compared: Does the Integration Context Matter? (2011), co-edited with Jens Schneider and Frans Lelie. His current work focuses on a transatlantic comparison of the “success stories” of young people from disadvantaged immigrant backgrounds in New York and gateway cities in Europe. He received his Ph.D. from the University of Amsterdam in 2000. He was with CUNY for the Spring 2014 semester. Grace Davie is an Associate Professor of African History in the History Department at Hunter College, CUNY. Her first book, The Poverty Question and the Human Sciences in South Africa, 1850-2010 (forthcoming, 2013), shows how poverty lines, as well as everyday measures of respectability, were assembled, contested, popularized, and radicalized. She is also the author of “Strength in Numbers: The Durban Student Wages Commission, Dockworkers and the Poverty Datum Line, 1971-1973,” published in The Journal of Southern African Studies (2007). She has received awards from the National Science Foundation, the Woodrow Wilson Center, and the Social Science Research Council. Jan W. Duyvendak is a Professor of Sociology at the University of Amsterdam and also the President of the Dutch Sociological Association. His most recent books in English include Crafting Citizenship: Negotiating Tensions in Modern Society (2012), co-authored with Evelien Tonkens and Menno Hurenkamp; The Politics of Home: Nostalgia and Belonging in Western Europe and the United States (2011); and Of Markets and Men: Lessons from the US and Europe for Strategies to Reach a Better Work/Life Balance (2010), written with M.M.J. Stavenuiter. His current project focuses on the key features of contemporary nativism in Western Europe and the U.S. He received his Ph.D. in 1992 from the University of Amsterdam. He was with CUNY for the entire 2013-14 academic year. 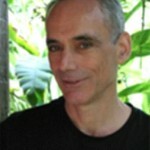 Marc Edelman is a Professor of Anthropology at Hunter College and the Graduate Center, CUNY. His research and writing have focused on agrarian issues, social movements, and a variety of Latin American topics, including the historical roots of nationalism and contemporary politics. He has written The Logic of the Latifundio: The Large Estates of Northwestern Costa Rica since the Late Nineteen Century (1992) and Peasants Against Globalization: Rural Social Movements in Costa Rica (1999). He has also contributed to editing several volumes, including, most recently, Transnational Agrarian Movements Confronting Globalization (2008). He received a Ph.D. from Columbia University in 1985. Sujatha T. Fernandez is an Associate Professor of Sociology at Queens College and the Graduate Center, CUNY, whose research focuses on topics as diverse as the politics of everyday culture, murals, rap music, and popular fiestas in Venezuela. Her most recent books are Close to the Edge: In Search of the Global Hip Hop Generation (2011) and Who Can Stop the Drums? Urban Social Movements in Chavez’s Venezuela (2010). Her current project focuses on low wage immigrant workers in New York and their recent advocacy efforts, focusing specifically on the narratives produced by the workers themselves. She received her Ph.D. from the University of Chicago in 2003. Nancy Foner is a Distinguished Professor of Sociology at Hunter College and the Graduate Center, CUNY. 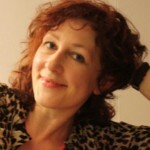 She is the author or editor of sixteen books, including One Out of Three: Immigrant New York in the Twenty-First Century (2013); In a New Land: A Comparative View of Immigration (2005), Choice Outstanding Academic Title for 2006; and From Ellis Island to JFK: New York’s Two Great Waves of Immigration (2000), winner of the 2000 Theodore Saloutos Award of the Immigration and Ethnic History Society. 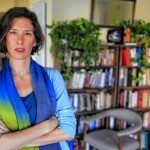 Much of her recent work focuses on comparing the integration of immigrants and their children in Europe and North America, and she has begun to work on a book on how the massive immigration of the past half century has been changing American society. She received a Ph.D. from the University of Chicago in 1971. Chad A. Goldberg is a Professor of Sociology at the University of Wisconsin, Madison. 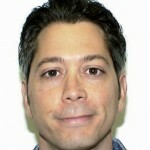 His research focuses mainly on the historical sociology of citizenship. He is the author of Citizens and Papers: Relief, Rights, and Race, from the Freedmen’s Bureau to Workfare (2008), which probes the struggles over the citizenship rights of welfare state claimants in U.S. history. He also has a book under contract with the University of Chicago Press entitled Modernity and the Jews in Social Theory. He received his Ph.D. from the New School for Social Research in 2002. He was with CUNY for the full 2013-14 academic year. Michael Kazin is a historian of politics and social movements and currently a Professor of History at Georgetown University. He received his Ph.D. from Stanford University in 1983 and has since been the author of numerous publications. His most recent book is American Dreamers: How the Left Changed a Nation (2011) and he is in the process of working on War Against War: The Rise, Defeat, and Legacy of the Peace Movement in America, 1914-1918, which will offer an interpretive narrative about the massive anti-war insurgency. He has previously held appointments at American University and Stanford University. He was with CUNY for the full 2013-14 academic year. 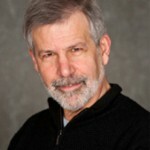 Don Mitchell is a Distinguished Professor of Geography at Syracuse University where he has taught since 1997. He has most recently published The Saved Crops: Labor, Landscape and the Struggle Over Industrial Farming in Bracero-Era California (2012), The People’s Property? Power, Politics and the Public (2008) (co-authored with Lynn A. Staeheli), The Right to the City: Social Justice and the Fight for Public Space (2003), and Cultural Geography: A Critical Introduction (2000). He was a MacArthur Fellow from 1998-2003 and received his Ph.D. from Rutgers University in 1992. He was with CUNY for the full 2013-14 academic year. Mojúbàolú Olúfúnké Okome is a Professor in the Department of Political Science and previously the Deputy Chair for Graduate Studies in the Department of Political Science at Brooklyn College, CUNY. She is currently working on a book that studies transnationalism, gender, evangelism, and power in African initiation churches in Nigera and the U.S., which focuses especially on Aladura churches in Yorubaland. 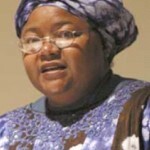 She is also the editor of West African Migrations: Transnational and Global Pathways in a New Century (2012) and Transnational Africa and Globalization (2012), both co-edited with Olufemi Vaughan. She received a Ph.D. from Columbia University in 1996. Mauricio Pietrocola is a Science Educator and currently a Professor at The University of São Paulo in Brazil. He received his doctoral degree from The University of Paris 7 (Denis Diderot) in 1992 and has since been the author of numerous publications. His areas of work include curriculum development, pedagogical knowledge and innovative strategies of teaching and learning. He has most recently published Mathematics as a Structural Language of Physics Thought (2010), Epistemological Vigilance and textbooks: on the didactic transposition of physics knowledge (2011) and New Physics Curriculum for Secondary School – The Case of São Paulo’ State (2012). His current focus is on connections between innovative education and risk taking, which contributes to an understanding of the failure of new educational innovations. He was with the Graduate Center for the full 2013-14 academic year. 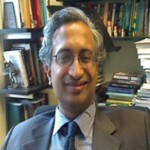 Sanjay G. Reddy is an Associate Professor of Economics at The New School for Social Research. His areas of work include development economics, international economics, and economics and philosophy. He recently co-edited A Great Transformation? Understanding India’s New Political Economy (2011) with Sanjay Ruparelia, John Harriss, and Stuart Corbridge. Previous publications included International Trade and Labor Standards with Christian Barry. 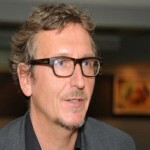 His current work focuses on inequality and inclusion within and across countries. He received his Ph.D. from Harvard University in 2000. He was with CUNY for the Spring 2014 semester. 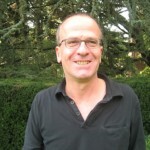 Moshe Sluhovksy is the Vigevani Chair of European Studies at the Hebrew University in Jerusalem whose research focuses on religious history in general and Catholicism in particular. He has written two books that were published in English: Believe not Every Spirit: Possession, Mysticism, and Discernment in Early Modern Catholicism (2007) and Patroness of Paris: Rituals of Devotion in Late Medieval and Early Modern France (1998). He has also held positions at Brown University, UCLA, and the California Institute of Technology. He received his Ph.D. from Princeton University in 1992. He was with CUNY for the full 2013-14 academic year. 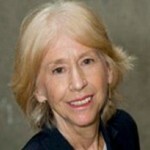 Judith Stein is a Distinguished Professor of History at City College, CUNY, as well as an Organization of American Historians Distinguished Lecturer. She has published the following books: Pivotal Decade: How the United States Traded Factories for Finance in the Seventies (2010), which emphasizes how the most recent economic crisis can be traced to developments in the 1970s; Running Steel, Running America: Race, Economic Policy, and the Decline of Liberalism (1998); and The World of Marcus Garvey: Race and Class in Modern Society (1986). The central argument that will be advanced in her most recent project is that neoliberalism became dominant in the U.S. in the 1990s when the U.S. produced high levels of growth and low unemployment. She received her Ph.D. from Yale University.